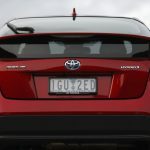 SINCE the dawn of time, or at least since Toyota began selling its hybrid petrol/electric vehicle humbly known as the Prius, its looks have polarised consumers like no other car on the road. You either love it or you hate it. It comes down to that. And not much has changed. Or has it. 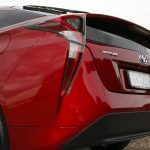 The 2016 Toyota Prius i-tech has a brand new design that is still polarising, particularly the back end, and the somewhat naff white gloss interior inserts are a little too full on for most people – but it’s got a sweet looking front end and sits lower on the road than ever before. Confused, well there’s no need. 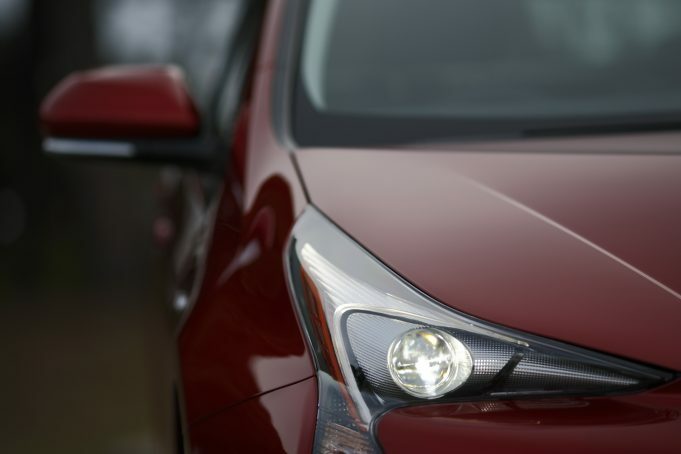 It’s a Prius, there’s no denying that, but it’s a better looking Prius than ever before, and hands down a much better driving experience than the Prius and its maker Toyota has ever offered up in the past. If we said it has just 90kW of power and 142Nm of torque you might cringe, but if we backed that up with an extra 53kW out of the second (electric) power unit and said the two work in harmony to produce what has to be some of the best fuel economy we’ve ever seen from a hybrid, then we’ve tweaked your interest haven’t we. So let’s give you some perspective. 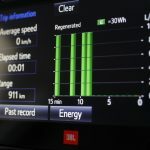 If you were to do normal city driving in the new Prius, you could expect to pull what we managed around town – a 4.2L/100km in standard driving mode – that’s outstanding when you consider the average 2L four cylinder is up around the mid-7L/100km or worse. 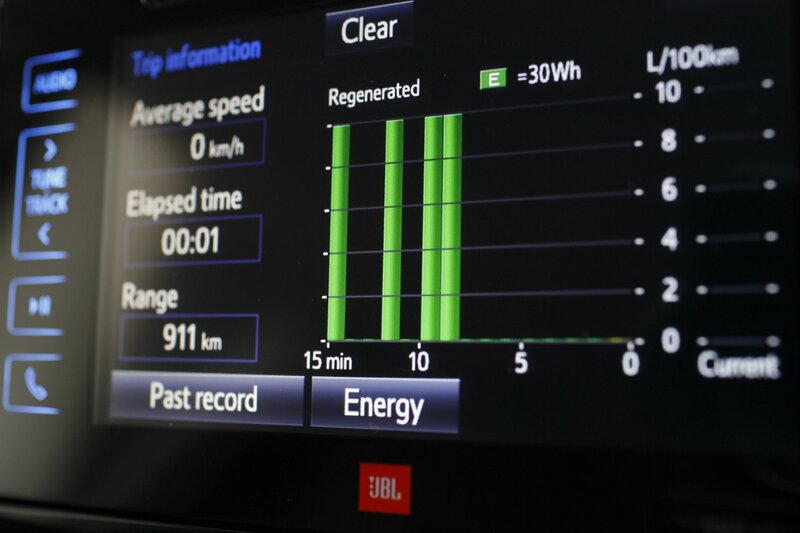 Go full eco-mode and stop-start and everything else you can switch on to make this hybrid ultra-conservative, and you can tap 3.4L/100km. Put simply that’s incredible, we’ll say – ’nuff said. And leave it there. 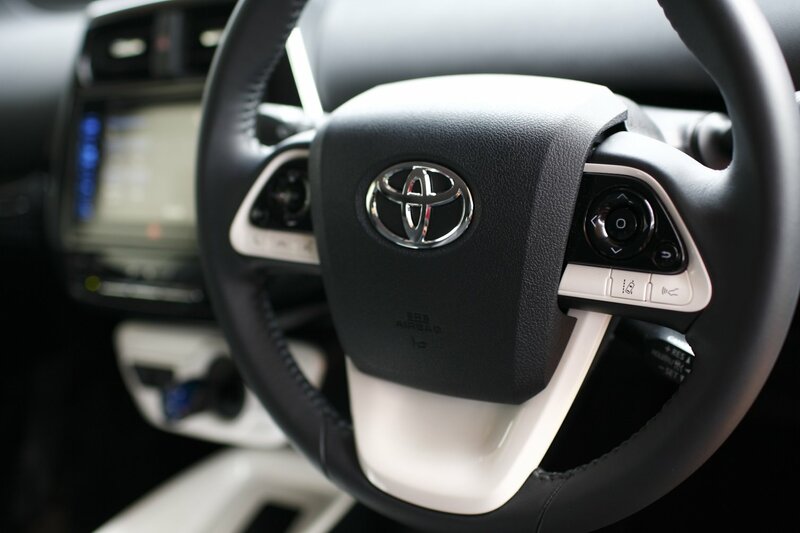 There’s plenty of featured inclusions too, with 17-inch alloys, an 8-way power adjusted drivers’ seat, blind spot monitoring, rear cross traffic alert and digital radio. 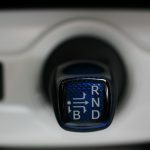 Add in a CVT gearbox that is synchronised to the hybrid power system, one of the best heads-up displays we’ve seen in a while, and you have a great overall package. There’s also a pre-collision safety system, lane departure alert, automatic high beam, active cruise control, a reversing camera with moving guidelines, and vehicle stability control, plus wireless phone charging (if your new smart phone supports proximity charging, just turn this function on and throw your phone in the console, and charge away). 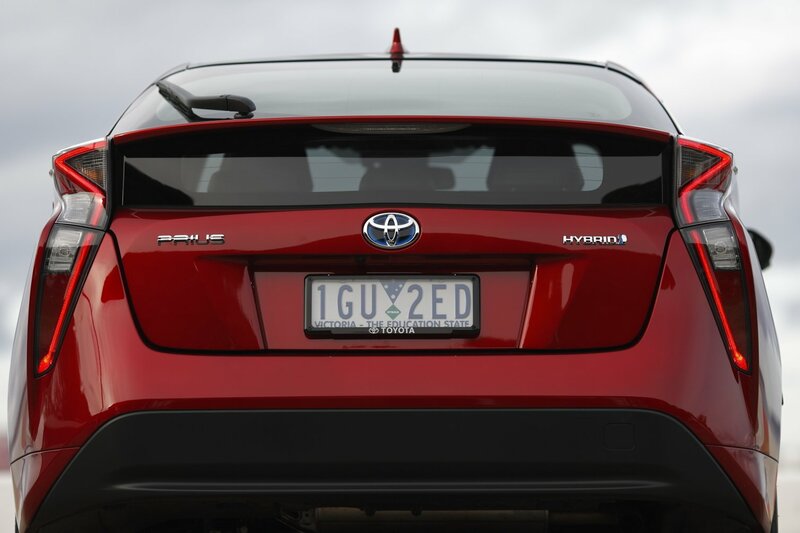 The Prius is also decidedly family friendly, with a decent boot space (some 502L but Toyota sacrificed the spare for it – there’s just an inflation kit), good rear seating (room enough for the child seat and some passengers) and all around driver comfort that includes leather seats and front seat warmers. On the downside are those white inserts everywhere we spoke about earlier, think glossy bathtub, and a lack of a plug in charging option that would make it even more economical (even though it exists overseas) – because right now you’re burning fuel to charge the electric motors, or drawing on kinetic recharging. It’s a catch-22 for Toyota but the hybrid Synergy Drive system and 1.8 litre petrol engine they have in place is a good enough option, but not the best option around (look at plug-ins like the X5 from BMW or a number of Mitsubishi options for some simple alternatives), a diesel engine instead of petrol would have scored higher for us. We struggled with road noise too (it hurt the driving experience rating for sure), because despite how well designed the Prius is, a lot of the outdoors still comes inside. The SatNav is great and there’s a trillion cool technology things going on, mobile phone integration was okay but not awesome and there’s still a God-awful foot-push brake (handbrake). The 2016 Toyota Prius i-tech comes in seven cool colours including the traditional Glacier White, plus Crystal Pearl, Silver Pearl, Graphite, Lunar Blue, Emotional Red (the funky red we tested here) and Eclipse Black. You can drive one out of the showroom for a cool $47,142 all inclusive (bundled with a 3-year/100,000km warranty), and with the money you’ll save on fuel driving around in the inner city, it could just be the best $47K you’ll ever spend. 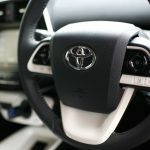 Ironically Toyota’s own Camry hybrid offers a cheaper alternative, if you’re happy to sacrifice a bunch of technology. 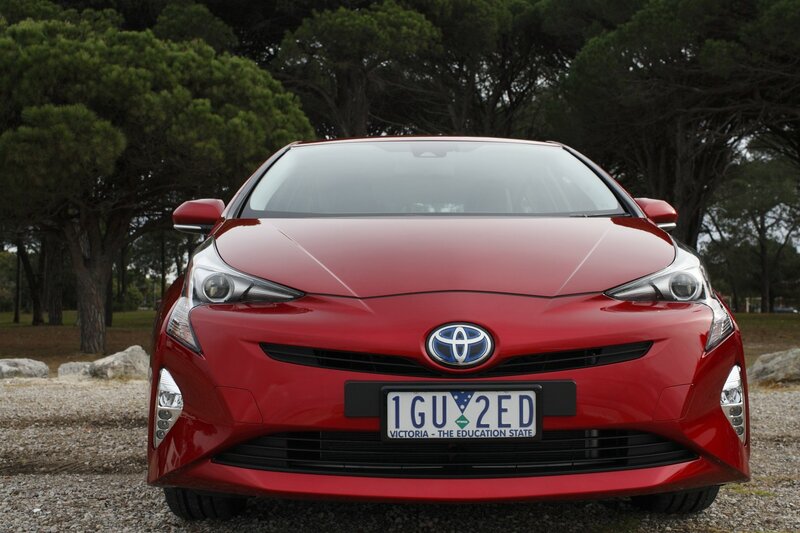 Our test vehicle was provided by Toyota Australia. 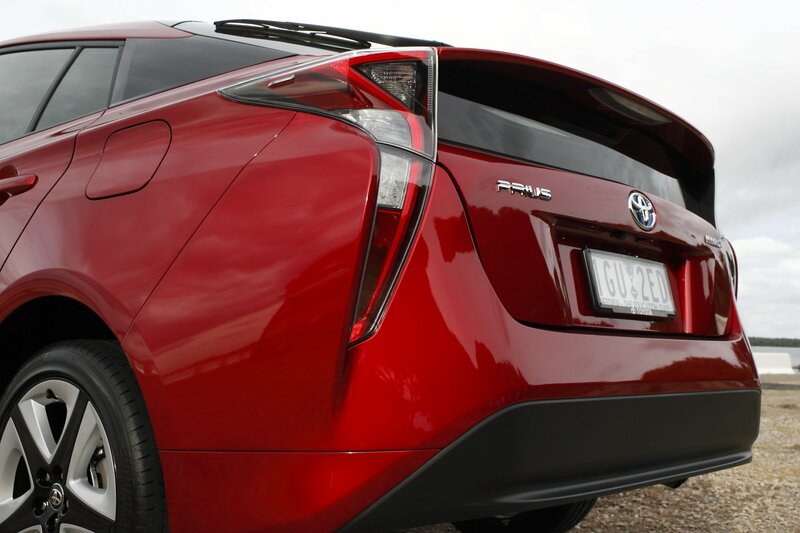 To find out more about the 2016 Toyota Prius i-tech, contact your local Toyota dealer. 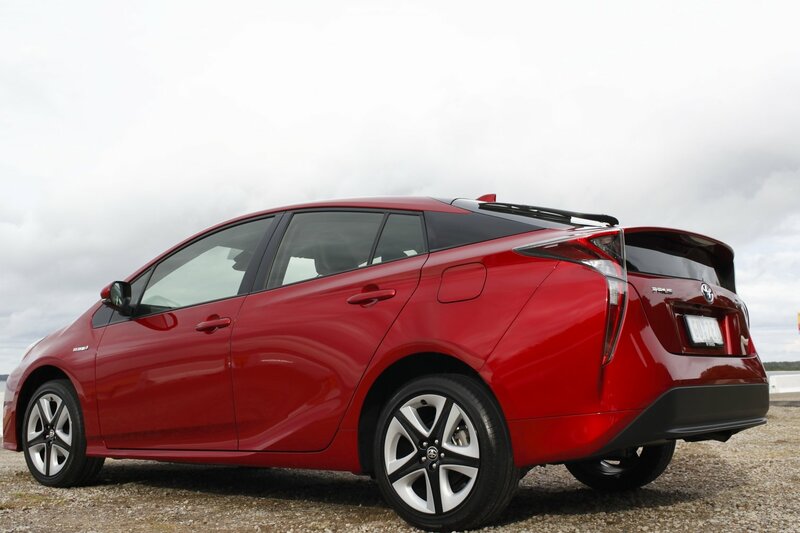 2016 Toyota Prius i-tech photographed by Neoklis Bloukos, Photo Automobili. View the entire gallery at 500px. Pros – Exceptional economy; we like its look; it’s eco friendly. Cons – no spare wheel; road noise; the icky white bits. Plug-ins are a separate category of vehicle. Not everyone can plug their car in regularly. Why should they pay the cost of a larger, heavier battery? 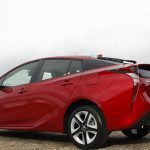 With the Prius, Toyota is trying to compete with conventional cars, offering a more efficient and lower emissions alternative. 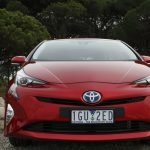 Too bad Toyota Australia has chosen to price the Prius on the high side. In other countries the base model is very inexpensive for what you get.